Remember when the Miami dolphins stunned the media world by acquiring the ideal free agents such as Kiko Alonso, Jordan Cameron and Ndamukong Suh? Cameron retired, Suh is on the Rams and Kiko Alonso is so concussed he does not know which side of the field his team is on. 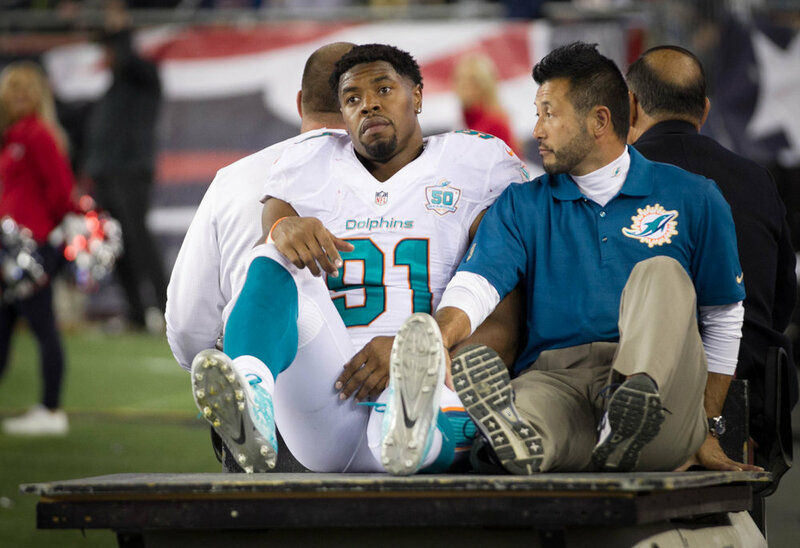 Two years after barely making the playoffs, the Dolphins seem like a strong candidate for worst team in the NFL. Throwing away up and coming running back Jay Ajayi and not giving Jarvis Laundry the respect that he deserves, has lead this team to spiral downward in a dramatic fashion. The Dolphins have had exceptional players such as Lamar Miller, Oliver Vernon and Mike Pouncey but have failed to capitalize on the talent around them. Unless Ryan Tannehill can carry the team upon his back, citizens of Miami should stick to being basketball fans. Poor Andrew Luck. One of the most talented quarterbacks of our generation, but he has yet to be in a Super Bowl game. The lackluster of talent around him makes him unable to reach football glory land. Fortunately for him, the offense is not the problem, the defense however might be the worst defense in the NFL. The defense allowed the 3rd most yards per game and the 3rd most points per game. While they did address the run defense in the draft, they did not touch on the pass defense issue which in today’s game is the most important asset of a defense. Luck is certainly capable of carrying his team to a few wins, but in a division with much more talented teams, the AFC South is no longer the Colts division to lose. There is only one word to describe this team: Mess. Tampa Bay, sporting one of the league’s worst defenses, encounters an even tougher task in 2018. As division rivals have stacked the offensive side of the ball through free agency and draft, the Buccaneers barely touched on this issue. The Buccaneers have rarely touched on defensive issues, especially in the secondary. Ever since Ronde Barber retired, Tampa Bay has looked for a new lockdown corner. They tried bringing in Revis for a one-year experiment and also drafted Vernon Hargreaves III this year. Allowing the most yards per game and completion percentage to QBs last season, the Buccaneers did nothing except sign nine fingered defensive end Jason Pierre-Paul. Adding insult to injury, Tampa Bay loses their former number 1 overall pick, Jameis Winston, for the first two weeks of the season. I have high hopes for Ronald Jones III and Mike Evans, but every other position on this team just seems far below average. Florida residents, I kindly suggest you hop on the Jacksonville Jaguars bandwagon, as soon as you can.